Erlinda Uy Koe, the chair emeritus of Autism Society Philippines, received the award during the opening ceremony of the 33rd ASEAN Summit in Singapore Tuesday. MANILA, Philippines — A Filipina advocate for persons with autism won the inaugural Association of Southeast Asian Nations prize for her exemplary contributions to the cause of inclusivity in the region. 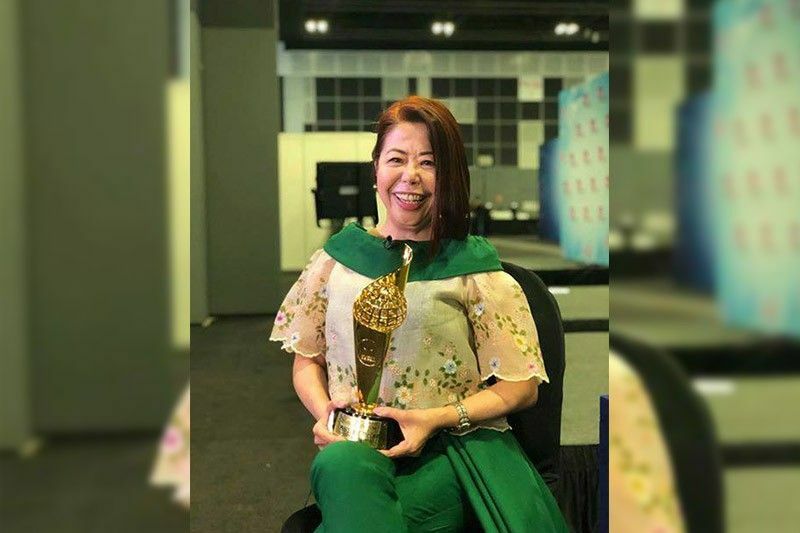 Erlinda Uy Koe, the chair emeritus of Autism Society Philippines, received the award during the opening ceremony of the 33rd ASEAN Summit in Singapore Tuesday. Singapore Prime Minister Lee Hsien Loong presented the award to Koe. “I am thankful for the momentum this recognition will bring in taking our advocacy to the regional stage. Persons with autism need acceptance, accommodation and appreciation—and we hope to find more receptive minds and hearts among our policymakers to build a genuinely autism-friendly global society,” Koe, who also chaired the ASEAN Autism Network, said. In a statement, Malacañang congratulated Koe for bagging the inaugural prize. “We cannot be more proud of Ms. Koe and may her exemplary works inspire greater righteousness and dignity in all of us,” Panelo said.